Q. How do I figure out what book I need for my class? To find the books you will need for a certain course, follow these steps. Go to SC4's College Bookstore site at https://www.bkstr.com/stclaircountyccstore/shop/textbooks-and-course-materials. Find the department, course, and section number. For this example, we're searching for the textbook for section 13 of an English 101 (ENG 101) course. 3. 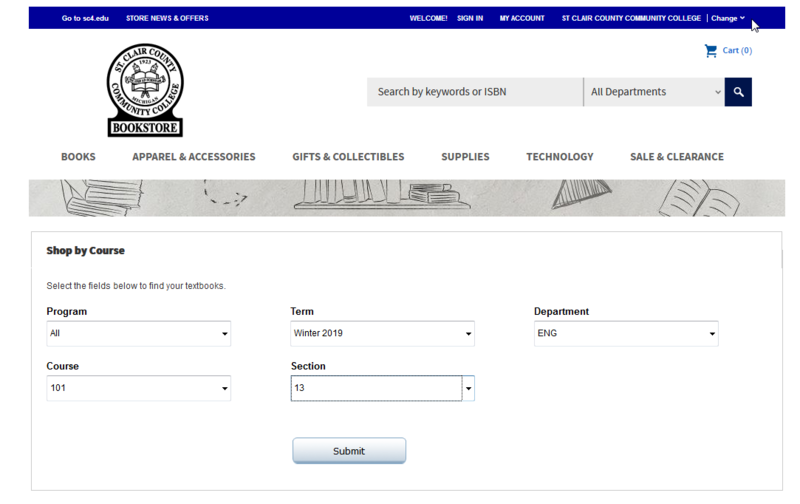 After filling in the required information and clicking submit, you will be taken to the Course Materials page, which shows the required textbooks. 4. 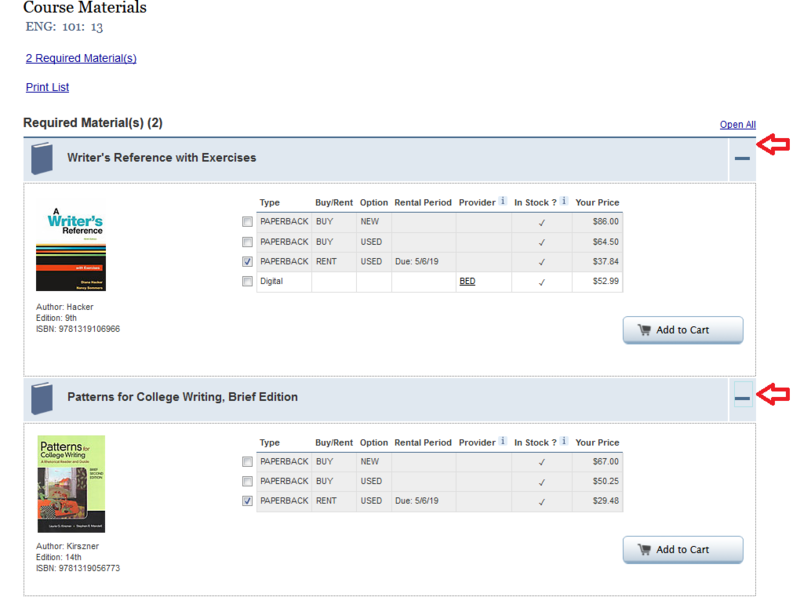 To view textbook pricing and availability, click on the plus signs as shown below. 5. For more information, call the bookstore at 810-989-5725 or email sc4@bkstr.com.